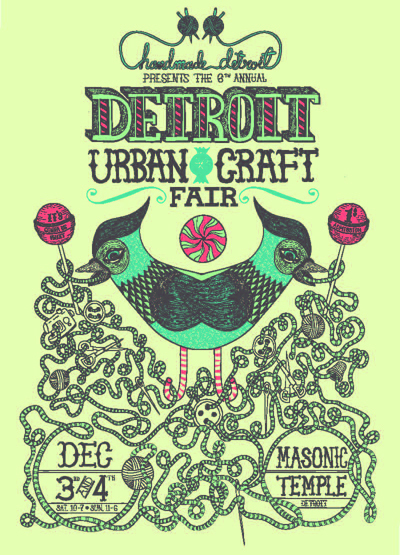 Detroit Urban Craft Fair is nearly a month away and although hard to believe, it’s true. And in our sixth year we’re letting our sweet tooth be our guide. We’re celebrating all things CANDY, and what day to reveal this sugar theme and our official show poster than on Halloween?! Jason Smith of Jazz Handz is our show artist this year. In addition to really great poster and logo art he does really incredible and detailed paintings, many of which on skateboards! 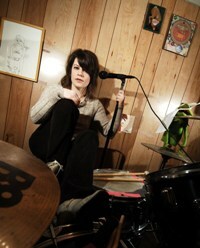 Be sure to check out his website’s gallery and swing by his space at DUCF to check out his work in person! Time sure flies, so embrace the leaves and let’s hang onto fall while we can. The holiday bustle is only a few full moons away! Happy holiday crafting everyone, and heck, why not sneak one more Twix mini?